CRN-T10 | TOSEI ENGINEERING CORP. This space-saving head is ideal for precision measurements on compact machines. The head can be used for on or off the machine applications. 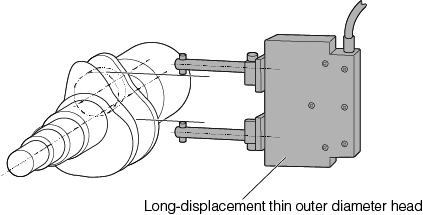 Changing of setup for diameters within 10mm is fully automatic. Zero set can be performed by input of the signal to the control unit. By combining the CRN-T10 and the PULCOM V7 or V10A with the size shift function, 40 different types of workpieces can be automatically measured. 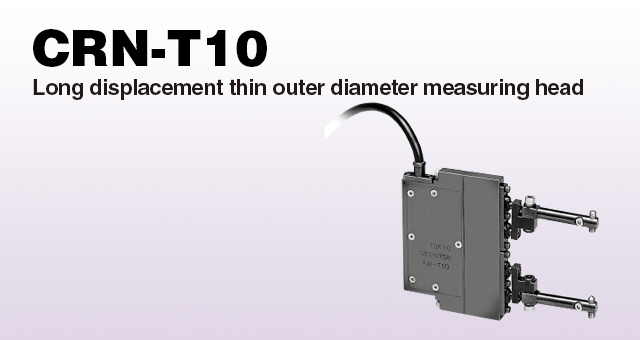 By combining the head and a control unit with the size shift function, automatic measurement can be performed if the diameter difference is within Φ 10 mm. Copyright © 2013 TOSEI ENGINEERING CORP. ALL RIGHTS RESERVED.